Catholic Education Services Cairns is giving change to charity with the help of the Queensland Government’s Containers for Change scheme. Priscilla O’Brien, who helped launch the fundraising initiative. When the opportunity to support both the environment and a local youth charity came about, Administration Officer – Identity & Outreach, Priscilla O’Brien was eager to be involved. 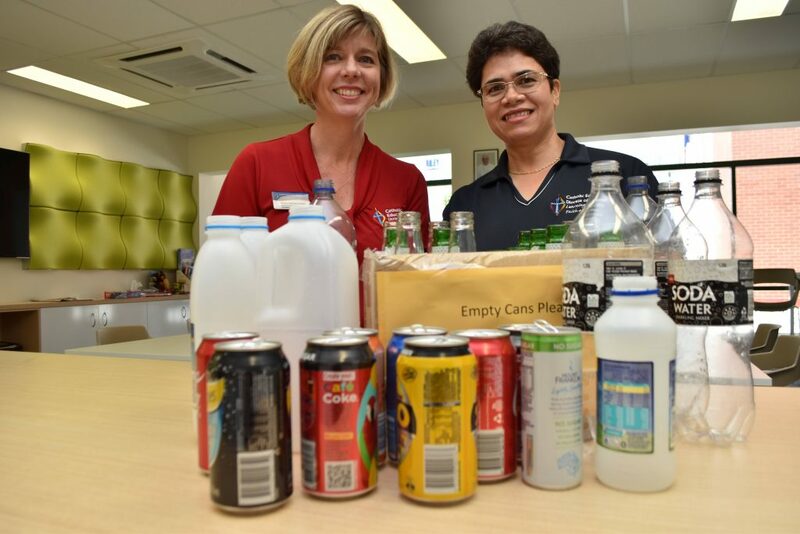 “As a state, Queensland has the lowest rate of recycling and as a Catholic organisation we should take the lead in promoting more recycling and care for our common home,” tells Priscilla, who helped launch the Containers for Change initiative in the Catholic Education Services office earlier this year. The Containers for Change refund scheme, which launched across Queensland in November last year, offers a 10c refund for every eligible container. With consistent donations every fortnight, the response in the office has been positive. While raising money for Reach is the primary goal, looking after our environment and setting a good example for our youth is just as important according to Priscilla. With a goal of raising $8000 for Reach Youth Group by the end of the year, Priscilla hopes other individuals, schools and parishes can get on board. To find out more about the Containers for Change refund scheme, go to Containers for Change.